Bhai Daya Singh ji(Nishkam) Satsang Sabha (Regd. )Ludhiana which was founded by its chairman Bhai Gursharan Singh ji (Ludhiane wale) in 1997 is aimed at preaching the message and teachings of Sri Guru Granth Sahib ji and to serve the mankind. 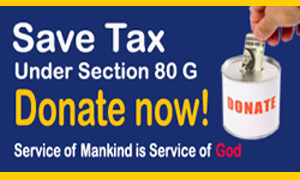 This institution is running three charitable hospitals and two academies (Gurmat Sangeet and computer academy) in order to render charitable services to the common man, the poor, the needy and the weaker sections of society. The charitable services include, eye cataract surgeries, medicines and Lab tests etc. ( free in case of extremely poor and needy patients) These charitable services have become possible only with the help of precious donations made by sadh sangat , be it by monthly donorship, or Kirtan bheta or in any other shape. Akal Purakh (God) is pleased on us. He has chosen us to serve the mankind in distinctive way. Join us and contribute for the noble cause.